More effective use of GPS and PDA. Courses to learn better use of your Car, Motorcycle navigation devices and your PDA or MDA devices. Learn to use this equipment more efficiently and have more confidence when using it. 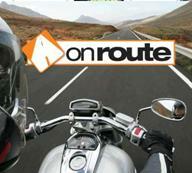 Not only for A to B routes, but also for delivery routes or holiday routes. - Mapsource, Car, Motorcycle, Walking, Biking, ..
For more information about these courses you can look at our GPS site.